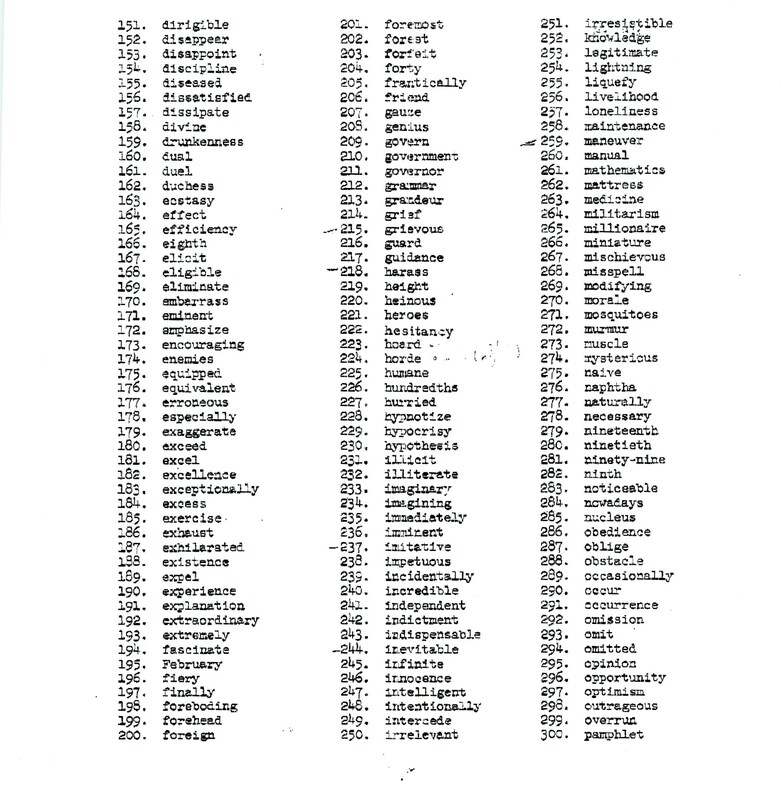 Someone brought up the infamous Rice spelling test in the comments last night so I went back and had a look at what’s in the files about it. Here’s how it came to be: In 1937 the Rice faculty, horrified and appalled by what they considered the poor command of English exhibited by the undergraduates, decided to institute a spelling requirement for graduation. 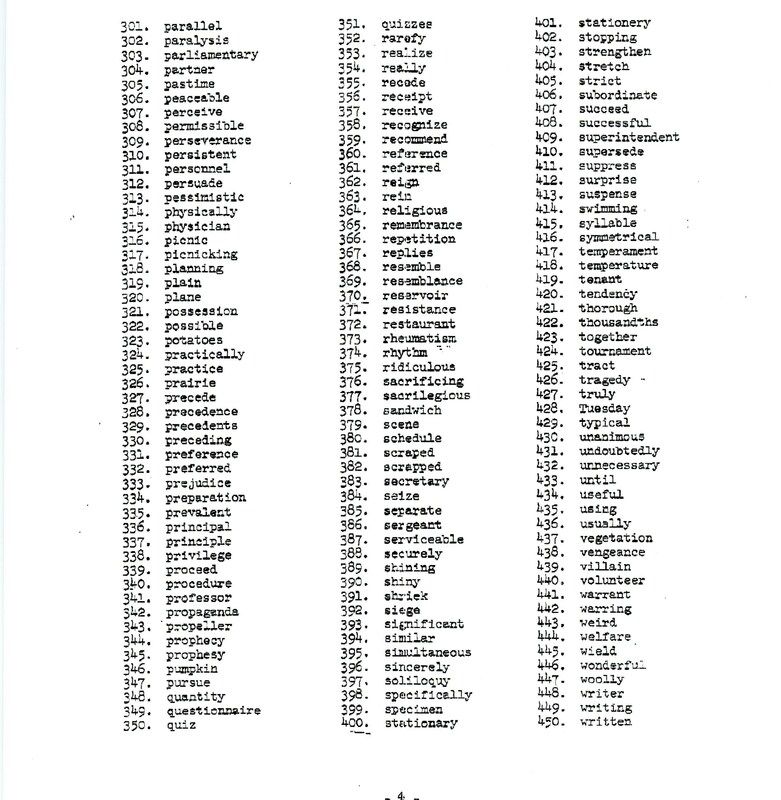 This took the form of a list of words that each student had to spell correctly in order to be granted a degree. You could try more than once, which was a good thing. The earliest list was absolutely savage–about 530 words, many of them either tricky or technical and some both. I will freely confess that there are a few words here that give me trouble. 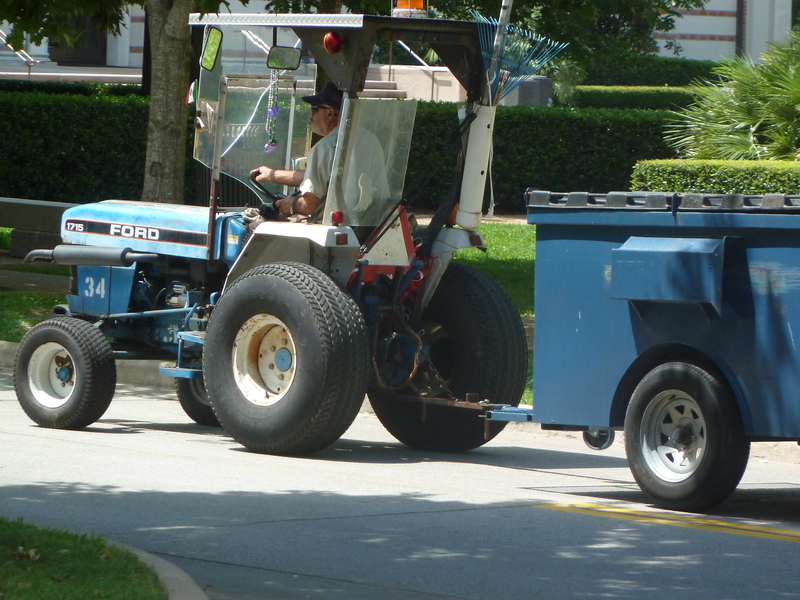 Bonus: Blue Ford tractor pulling trash bin. 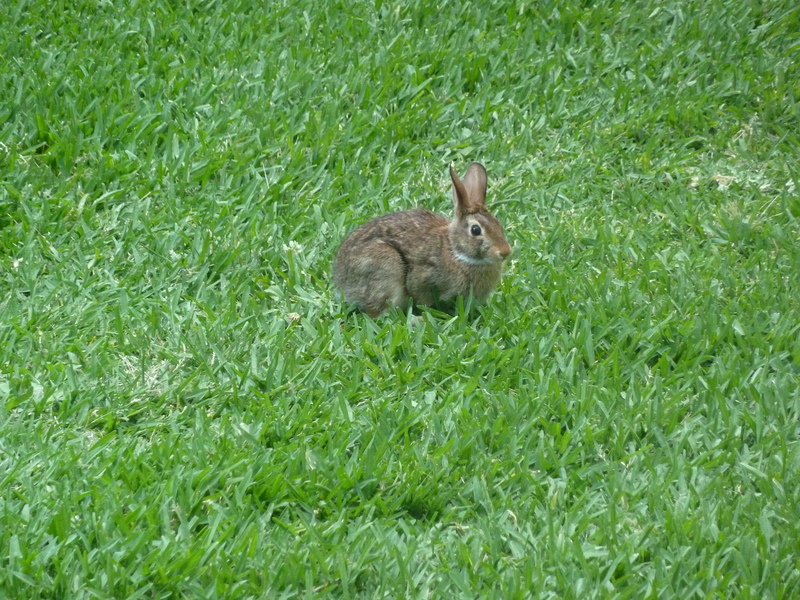 Extra Bonus: This little guy was sitting out in the grass between the Jones School and the RMC, just as bold as brass. Bunny and Ford tractor. You thought of me! bring the spelling test back! I agree. There aren’t too many things I think we should go back to, but this is one. The Rice flag is another. Looks like some of Ruby’s rabbits escaped! Cute little rabbit, and looks like it’s well fed. 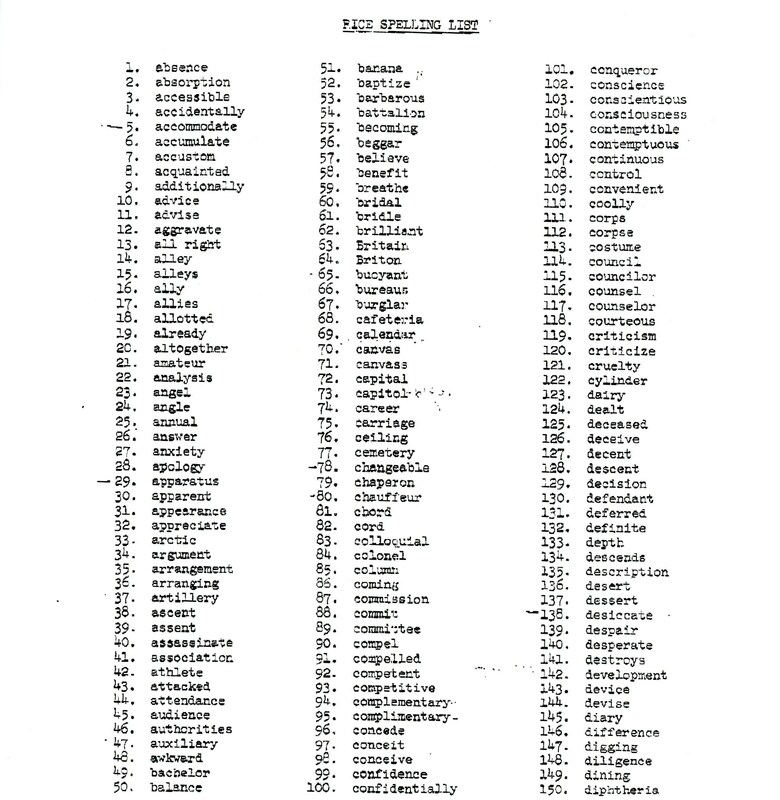 In comparison with my High School English teacher’s word list, the Rice spelling test looks like a piece of cake. Tues and Fri we did 20 words from the list, defining each and then using the word in a sentence. He claimed to be getting us ready for the College Boards; we thought he was merely being “sadistic”. What constituted “passing?” 100 percent correct? I recall hearing about this as a legend about the difficulty of going to Rice as a very young child. I started school in’56 and even first grader (rural public school) already knew how Rice students studied their spelling list beginning as freshmen. Thereafter, across Texas spelling bee competitions were a fixture of weekly English class up until Junior High (1 st. – 7th grades). Further with the scourge of Polio no longer a threat to society, defeated by good science, the reality that science did not depend on spelling and that children should already know how to spell …. so I always thought about the rapid ‘overlap’ of science vs. the humanities … Recall that 5 yrs later Rice was where most of the world first learned about going to the mon and NASA. Any link between the Rice spelling test and the Rice purity test?